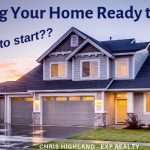 You are here: Home / Buyer Information / What Does A REALTOR Do? A Realtor.com survey found that for every hour a real estate agent spends in your presence, he/she will spend an average of nine hours out of eyesight working on your behalf. 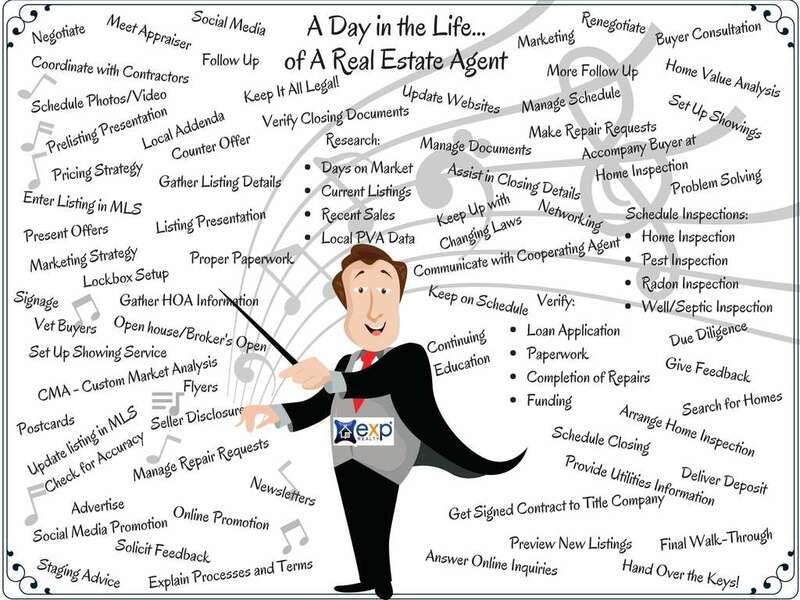 What does a Realtor® do all day, anyway? Unlike a lot of professions, where people are paid hourly or are on a salary with weekly or bi-weekly pay checks, in most situations real estate agents don’t get paid until the home sale/purchase closes. In the mean time, they are doing multiple tasks behind the scenes for weeks, sometimes even months, to get a home transaction to the settlement table. In today’s complicated real estate environment, there are hundreds of tasks. While each client and each home sale is different, here’s a look into the what, when, where and why in the day of a real estate agent. Both buyer’s agents and seller’s agents must keep up with the inventory of the homes that are on the market. 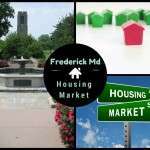 They must know details of homes that have recently sold, and the latest market statistics. This includes every neighborhood, community and area in which they work. Proficient agents must know the market trends, like how long homes are taking to sell, what the average and median prices are, how much seller’s are getting in sales price compared to their list price…and much more. 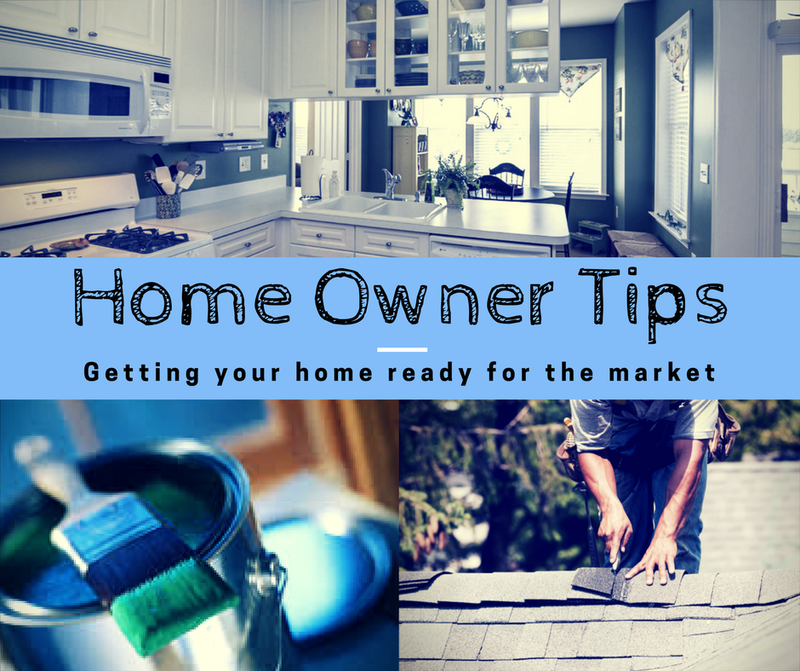 Staying on top of the local market takes hours of research, whether it’s combing the multiple list service daily to see what’s new on the market, or seeing what the sales prices were, or how much homes are selling for on average compared to their list price, or conducting numerous comparative market analyses (CMA). 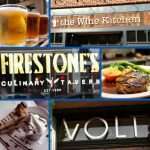 The inventory and data is changing every day and requires constant review. Market knowledge also requires that agents personally tour homes, whether through broker’s opens or by previewing the home personally. 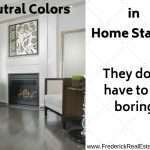 Real estate agents must be familiar with nuances in home styles, floor plans, construction details, and much more, to provide information to their buyers and their sellers. Knowledge of the lifestyle and amenities afforded by various neighborhoods and communities is crucial to help buyers find their dream home. To protect consumers, the Maryland Real Estate Commission has oversight of roughly 46,000 licensed real estate agents. Federal oversight includes the Consumer Financial Protection Bureau (CFPB) and the Federal Trade Commission, and various Fair Housing laws. Buying and selling real estate is complicated in 2017 and is governed by state and local contracts and addenda. Incidentally, Maryland contracts are upwards of 35 to 50 pages these days, depending on the jurisdiction. A Realtor® must stay aware and informed on all real estate laws and forms used in the process. Today’s constantly advancing technologies affect real estate like virtually no other industry. Real estate agents must stay on top of the latest technology tools available to best serve their clients. In an effort to be a trusted adviser to their clients, Realtors® take hours of required continuing education every two years. As well as credited classes, many take untold hours of non-accredited education to enhance their business acumen, and their skills. Much of a real estate agent’s day is spent communicating. The mobile phone is a constant companion. Text messages, emails, and yes, old fashioned phone calls are an ever-present aspect of business. Communication can come from buyers, sellers, cooperating agents, lenders, title services, inspectors, office personnel, or third party vendors. Follow-up is vital in today’s on-demand world of business. For a real estate agent, the work day rarely, or dare we see never, ends at 5 pm Friday afternoon. Buying and selling real estate is never an event. It’s a process. 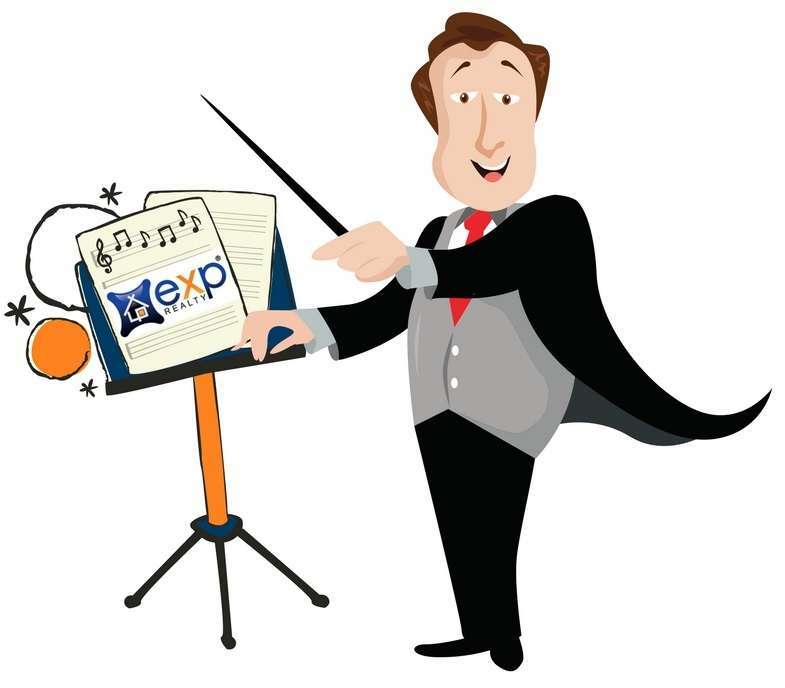 Like an orchestra, the real estate process has many moving parts and many human beings playing their parts. The Realtor® is the conductor. From the first connection with the home buyer or home seller to the crescendo moment when they hand over the keys, the agent manages numerous aspects of the real estate transaction. There are literally hundreds of tasks that go into ensuring a successful outcome. A Realtor® is a rare breed of business person, motivated by the desire to help people. Buying and selling a home is often the most complicated and expensive purchase of their lifetime. Buying or selling a home can be among the top stressful life events for people. Additionally, it is often accompanied by stressful life circumstances, like a new relationship, a divorce, new marriage, new baby, downsizing, change in job, relocation, and many other positive and negative life changes. Realtors® regularly find themselves in the role of manager, scheduler, concierge, researcher, paper-pusher, negotiator, coordinator, mediator, shrink/marriage counselor, child entertainer, messenger, problem-solver, and all-around chief cook and bottle washer, to name only a few! Local Realtors® offer their buyers and sellers the benefit that comes from immersing themselves in every aspect of their local market. Every day of the year. To assure the best possible outcome in your real estate goals, take advantage of the expertise of a local qualified Realtor®. Make sure you choose a real estate professional that you can use as a trusted adviser. What does a REALTOR for you? A survey found that for every hour a real estate agent spends in your presence, he or she will spend an average of nine hours out of eyesight working on your behalf. 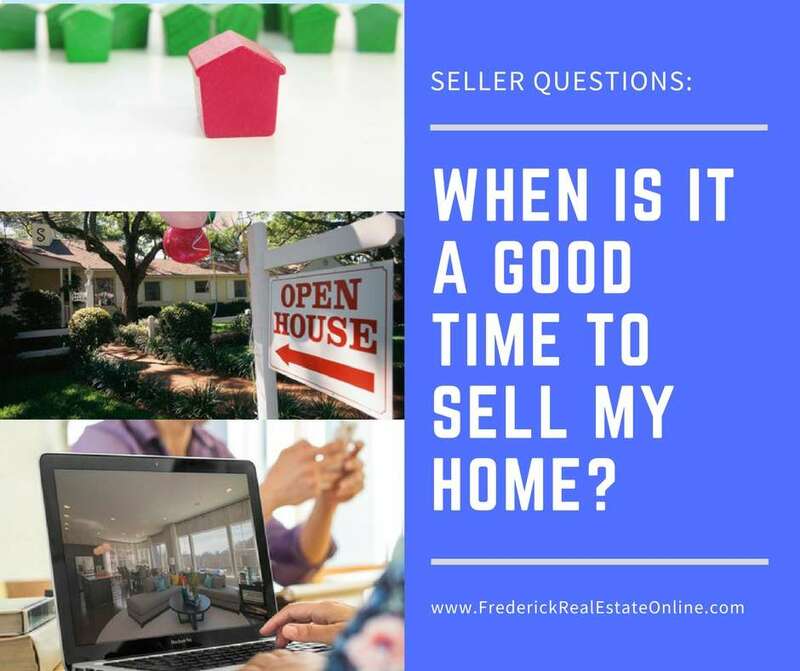 Previous Post: « When Is It A Good Time to Sell My Frederick MD Home?